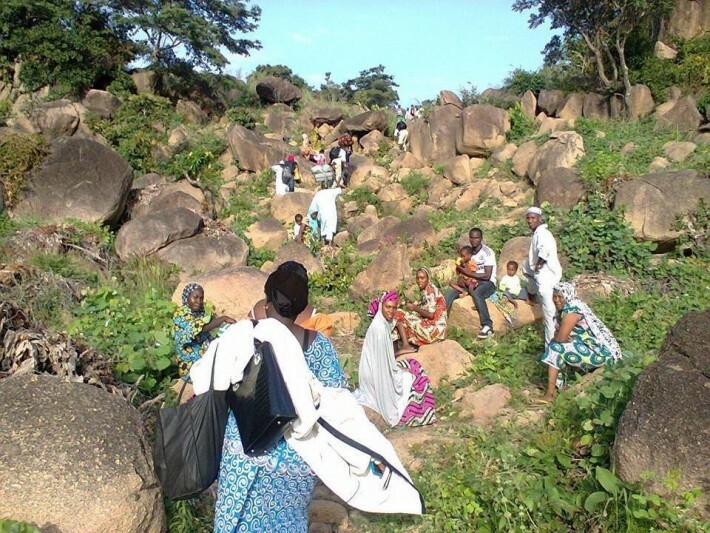 Reports reaching us has it that many children and women died in the bush from exhaustion, while they were fleeing insurgents who attacked the town of Mubi in Adamawa State, Nigeria. This is just as several families whose children got missing are still searching for them. According to the National Emergency Management Agency (NEMA), 6000 children are among the internally displaced persons in camps in the state. While some children managed to wade through to safety, many others were not so lucky as they either died in the process, are ensnared in the bush or are among the thousands of displaced persons currently trapped at the border between Nigeria and Cameroon Republic. Hundreds of children had to grapple with the inclement condition of the bush which included sleeping in the mosquito infested environment, staying for long hours without food or water and trekking long distances and the overbearing heat occasioned by intense sunshine during the afternoon hours which usually resulted in dehydration. Some of the children who were not strong enough to endure the tortuous journey to safety gave up the ghost just as other who fell ill had to be carried or were left with their parents in the bush. “About five children aged between two to five years died while we were wading through the thick bush path and mountains on our way to freedom. Due to sympathy, I helped carry a two-year-old child belonging to one pregnant woman for many hours in the bush. But circumstances made me to drop the child when his heavily pregnant mother was forced by the stormy and rough journey to make an impromptu delivery,” said a witness. “Some of the children died of hunger while others got dehydrated. “Since we set out into the bush, one of the children yearned endlessly for food and water and up till the time he died, the child was yearning for water and food. When we stopped to rest following long hours of trekking, the boy suddenly stopped talking and we thought that he had fallen asleep only to realise that he has given up the ghost as thirst and hunger overwhelmed him. “Even as an adult, I never thought I would come out of that predicament alive as I never felt so close to death,” he added. Another survivor, Mustapha Ahmed who said he had earlier fled to the Cameroonian border lamented the plight of women and children with whom they fled, saying up till now many of his cousins whose ages range between five to 14 were still trapped in the bush and every effort to locate them had proved futile. “In our community alone, about 50 children were feared trapped as their parents said up till now they could not trace them or even get the slightest information of their where about. The father of some of the trapped children who could not locate his children is currently lying ill in a hospital in Gombe as he was said to have fainted when information filtered to him that eight of his children and two wives could not be accounted for,” he said. Another displaced person from Gwoza, Mr. Simon Joshua said since the town was overrun, for almost three months he has lost touch with his wife and five children. Joshua whose narration was intermittently disrupted by his sobs and wailings said he was lucky not to be in town when the insurgents struck as his children and wife dispersed into the bush. A displaced woman Hajiya Mairo Abdullahi was seen holding the picture of her seven-year-old child whom she claimed got missing after the insurgents struck the town. “Since morning, I have been going from one street to another asking people whether they have seen Farouk, my last child. I have been making calls since the day he got missing but up till now I have not heard any positive response,” she lamented. 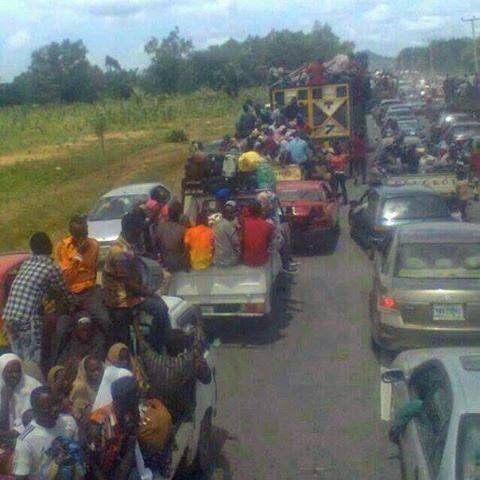 Many children were similarly stranded in Yola as they said they could not locate their parents. One of such children who was seen wandering in Yola, who identified himself as Sulaiman, said he hailed from Uba town and had to run for dear life when the insurgents struck his home, killed his father, two brothers and abducted his mother alongside her sister. “When the insurgents entered into our compound, they slaughtered my father, killed my two brothers, and abducted my mother and her sister. I escaped the house through the fence and ran into the bush and since then, I have been walking till I got to this place,” Sulaiman narrated. This is getting unbearable. The truth is that many people are yet to realize is that Nigeria is in a war situation, and the government seems to be insensitive to the suffering of these people and appear to be toying with the present situation. Politicians are busy campaigning for another opportunity when they have made lives miserable for the people in the present opportunity given to them. 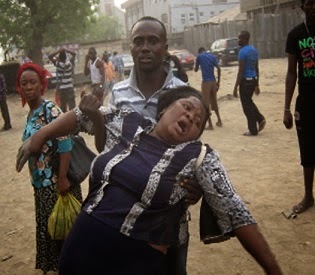 Less effort are made to contain the spate of killings and suffering going on in the North-eastern part of Nigeria. We are really having a war situation and humanitarian crises in our hands, and CRACO urge the international community to take necessary action to save the women and children of Nigeria from extermination in the Northern part of Nigeria. Only God can help us in this country.